The entire project requires only 200 threads. Sett is 20 epi using a 10 dent reed using 10/2 cotton. Pattern can be woven with equal ease on 4 shaft table loom or floor loom. 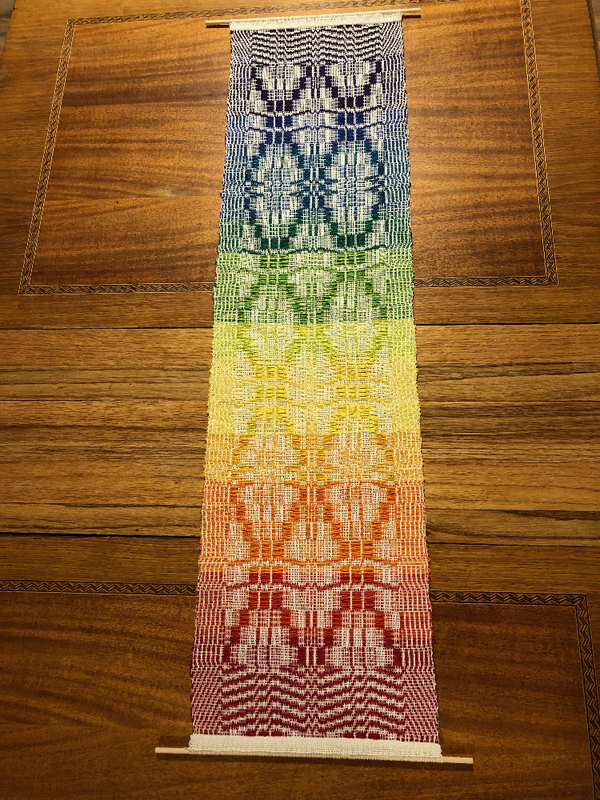 The challenge is designed to be worked using Mary Meigs Atwater’s “law of diagonals” for overshot weaving. Click here to purchase the My Inheritance 200 Thread Challenge Project. This entry was posted in Weaving Drafts - Computer, Weaving Drafts - Non Computer. Bookmark the permalink.